The first supplement guaranteed to stop your horse from chewing on wood. No more spraying, painting or costly repairs. Guaranteed results within 7 days. Highly palatable, just add to daily feed. 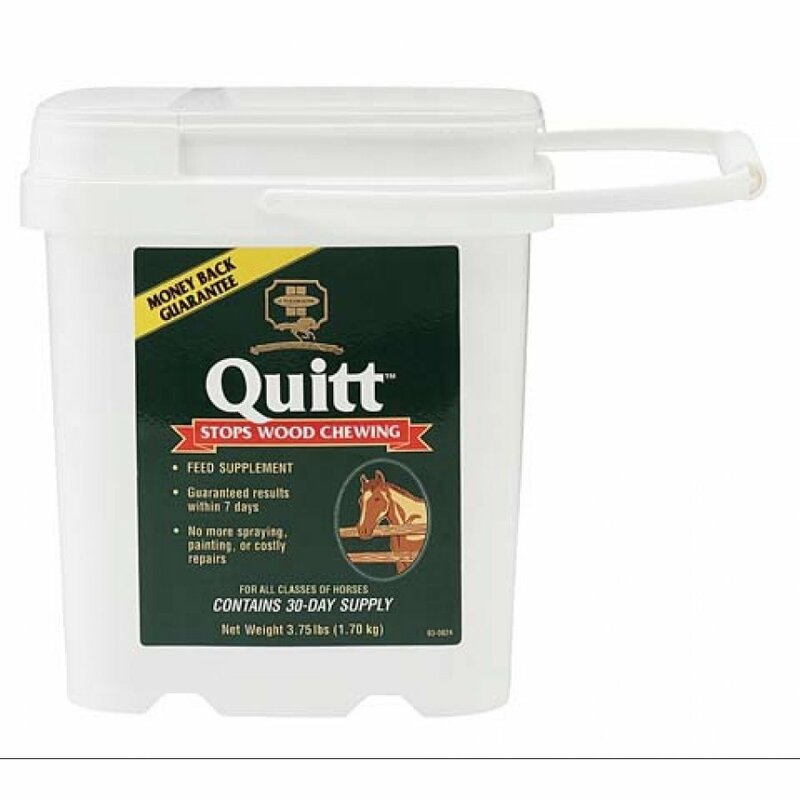 Quitt - Supplement to Eliminate Wood Chewing has different options and/or variations, please choose below. This product cannot ship to IA, IL, NM, TX due to state restrictions. It affects all ages -- from young foals on up. Chewing is not only destructive to fences and stalls, but can damage a horse’s mouth and possibly lead to colic. Research indicates one of the main reasons horses chew wood is a nutritional deficiency. New Quitt® provides a combination of essential vitamins, micro and macro minerals and fatty acids to satisfy a horse’s nutritional requirements and eliminates the urge to chew. In studies, over 90% of horses fed Quitt stopped chewing within a week. Farnam guarantees Quitt will stop your horse from chewing, too – or your money back. Quitt contains ingredients in a highly palatable alfalfa pellet that can be fed by itself or as a top dressing. 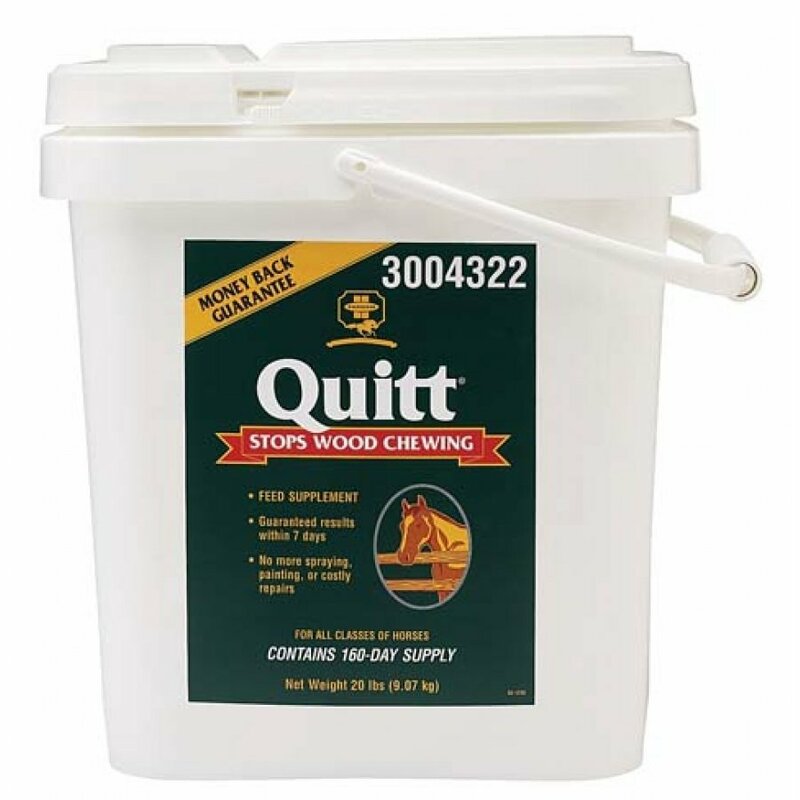 As you feed Quitt, it’s recommended that damaged wood be replaced and your horse be regularly exercised.